Psychometric tools to identify talent suited to roles in cybersecurity. By 2020 there will be approximately 1.5 million unfilled cybersecurity jobs. 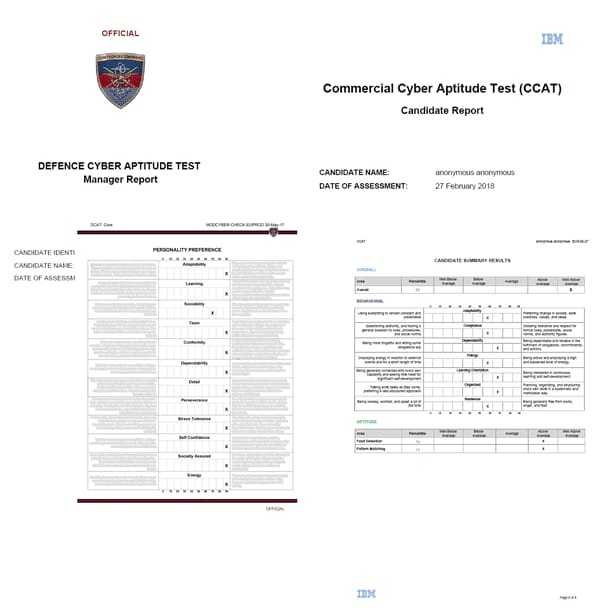 Cybersecurity Aptitude Tests identify talent with the ability to support efforts to counter cyber threats. By assessing the behavioral attributes and cognitive aptitude required for success in cyber roles, the tests focus on identifying latent ability – traits that are hidden and not yet developed – in cyber roles rather than existing skill.